Between beach vacations and cross country drives, summer is usually the season most associated with travel and road trips. Don’t get too eager to unpack the car, though! Fall is just as great a season for travel, and while school can make it difficult to take long vacations, day trips are perfect for crisp fall weekends. Need ideas for where to go? Use these suggestions for fun, family-friendly day trips to get outside and get the most out of the fall season. 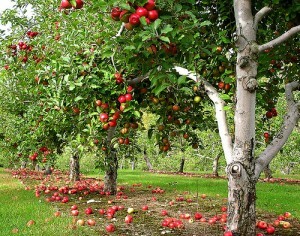 Fall is apple season, so take a drive up to the apple orchard and start picking! Apple picking is an activity that’s perfect for kids of all ages as well as adults, and it doesn’t cost much. The best part about apple-picking is that you can go home and bake all kinds of delicious apple desserts afterwards! It’s always nice to be outdoors when everything is green and blossoming, but nature can be just as beautiful when the leaves are turning various shades of red, gold and orange. Drive to a local park or nature reserve and find trails to explore. One of the best parts of fall is Halloween, so make sure you’re ready for it with your own personal pumpkins. Drive to the nearest pumpkin patch and pick your own, then head home and carve them up into spooky Jack-o-Lanterns. Remember to save the seeds for a salty roasted snack. For an outdoor activity that will keep your family moving, look up local corn mazes in your town. Many farms and orchards will have them and they’re a fun way to get moving without feeling like you’re actually exercising. Reward yourself for completing the maze with a cup of hot cider. As long as it’s still nice outside, fall can be a great season for spending a weekend at the beach. Because it’s not prime vacation season, you’ll likely be able to rent beach houses at much lower rates and won’t have to deal with the summer tourist rush. Football finally returns in the fall and going to football games is a fun way to spend time with your family. NFL tickets can be an extra-special outing, but it can be equally fun to travel to different high schools in your area and cheer on the football team. This list is just a small sample of all the fun trips you can take; get creative and go explore some new places around you this fall. If you have other suggestions for fun fall day trips, please share them below! Author Bio: This is a guest post by Meredith K. on behalf of Allstate Motor Club. Visit www.allstatemotorclub.com to explore the benefits of joining a motor club.